Close your eyes and think of what ‘Coast’ means to you. What colours do you see? 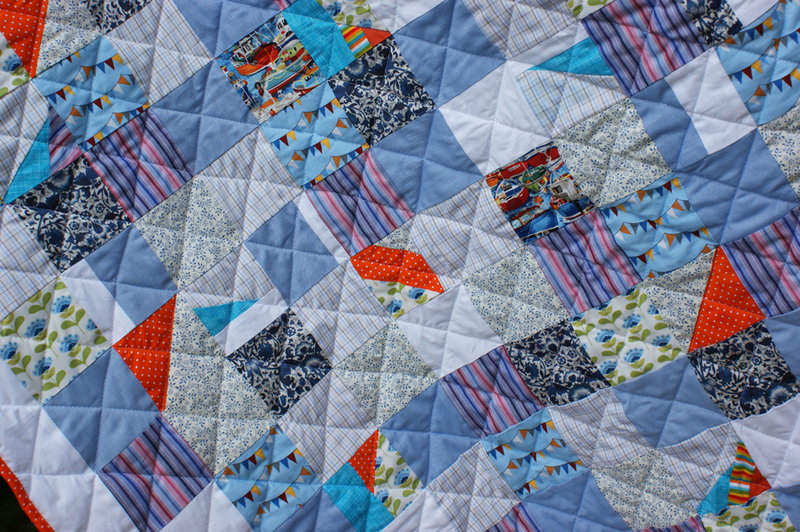 Sky blue, bright turquoise, sea blue with flashes of vivid orange and dazzling whites. 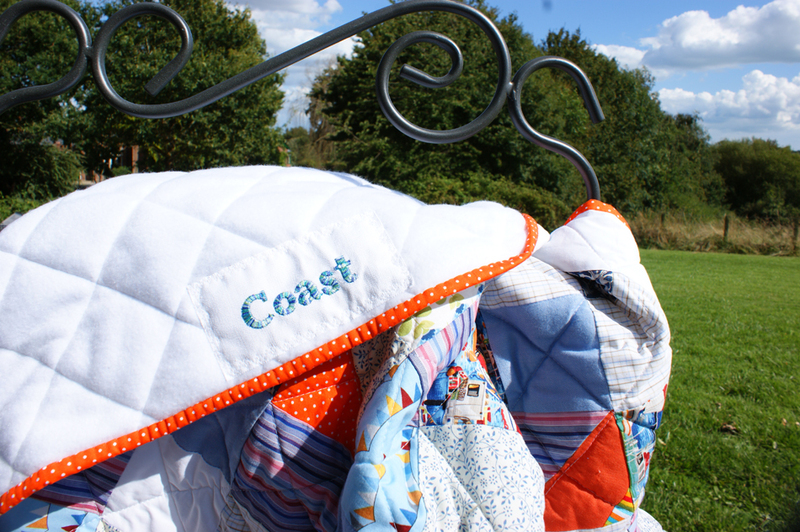 Add in some bunting and boat prints and there you have it – Coast in a Quilt! I couldn’t resist the amazing embroidery thread to stitch the quilt label – it has a silky sparkle in it, just like sunlight on the water! 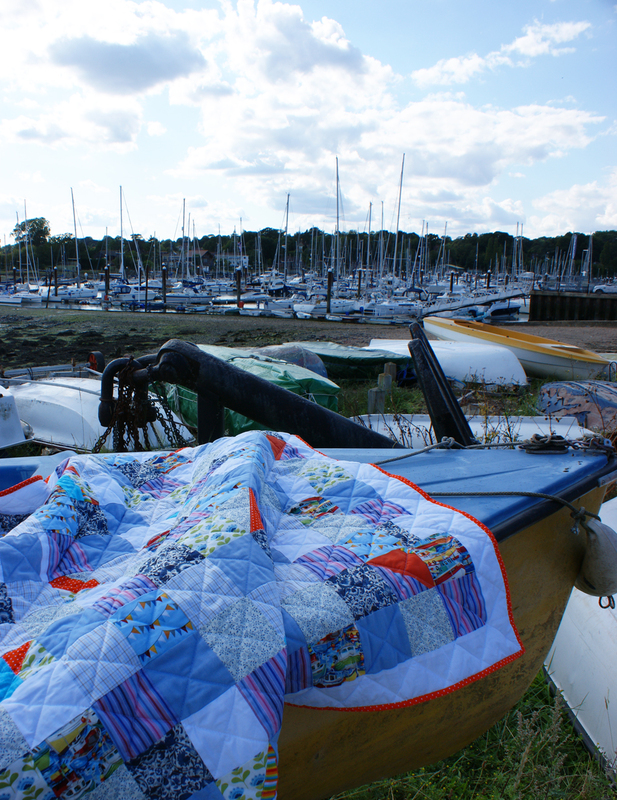 Quilt on location just where the River Hamble meets Southampton Water – so many boats – you wouldn’t believe it! The afternoon was breezy and the sound of the halyards ringing against the masts was magical. 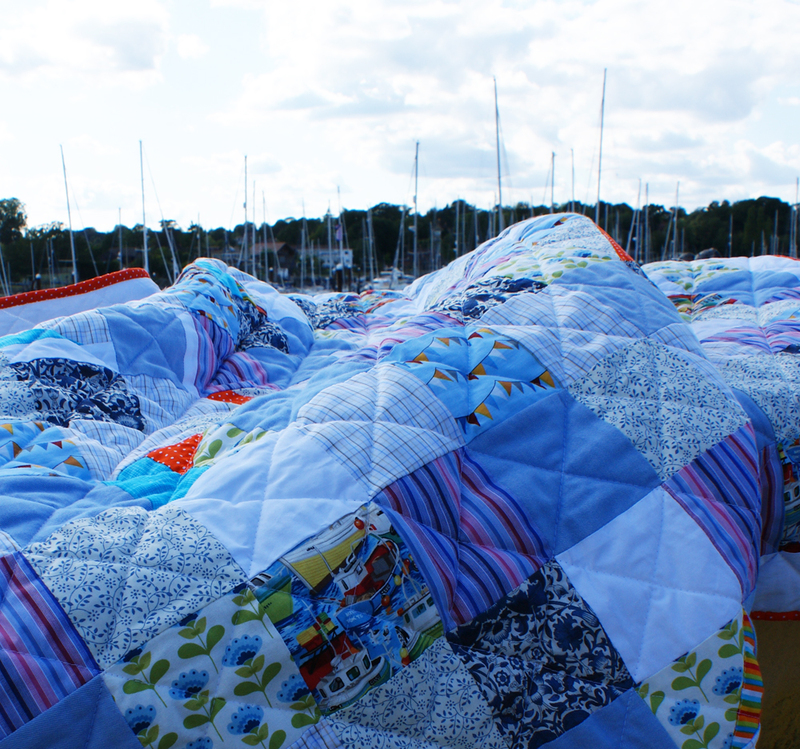 We’re looking to the Horizon for the next quilt, then taking a nap with Siesta! Pop back and see them over the next few days. Enjoy the rest of the week. It seems as though the summer warmth and sunshine has disappeared behind the clouds. The last couple of days have been chilly and rainy here. Time to find my wellies! Flora definitely found me that day – Himself reckons she recognised a Mother Duck when she saw me. I find it quite amazing whenever we visit Porthleven and I see the distance she travelled up the hill and across the cottage yard, to the back doorstep where she proceeded to shout until I came to her rescue. She was a lucky little duck and we’re very lucky to have her in our family – she’s very special! 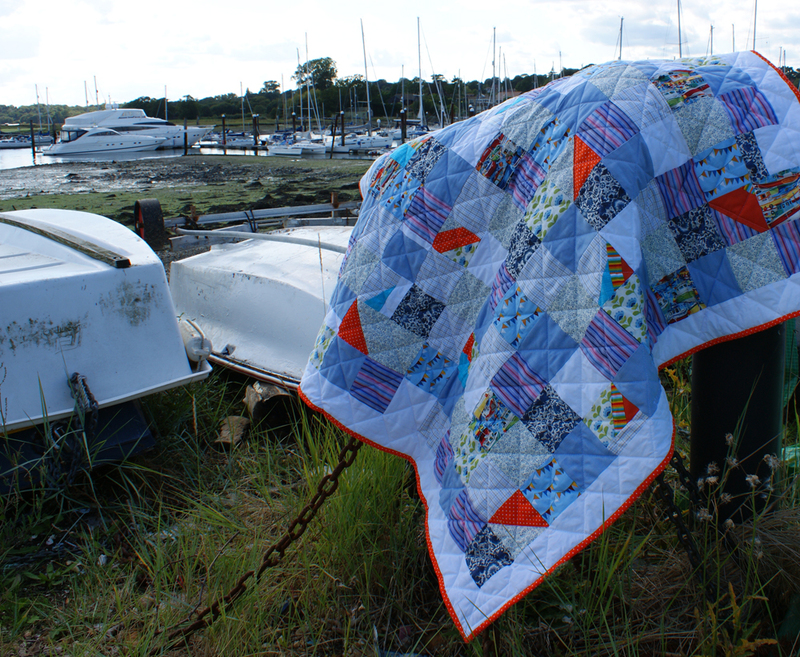 Love this quilt – reminds me of my dad and how much he liked sailing and the sea ,amazing how quilts bring back memories – that is why they are so comforting and special. 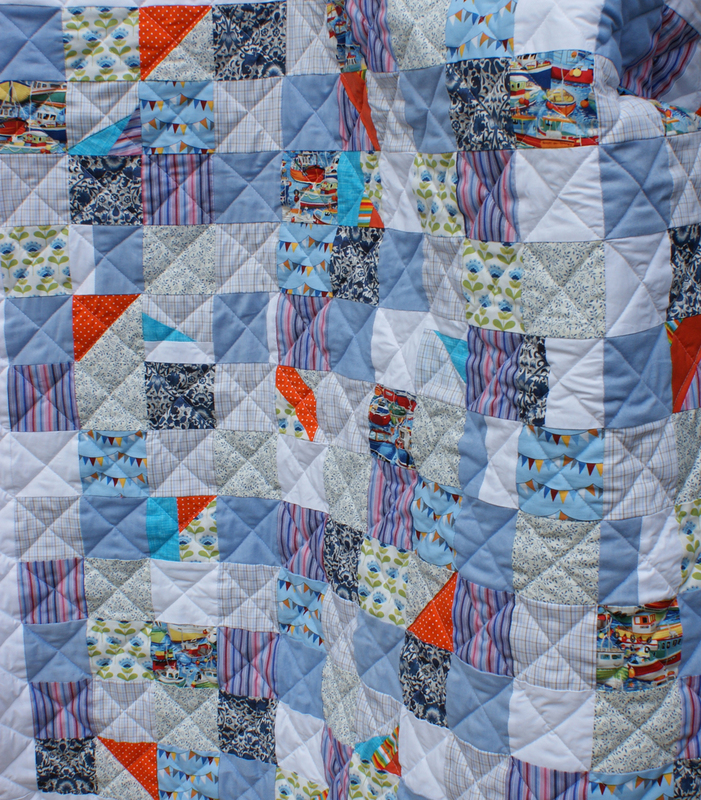 It’s true – quilts are really special and so full of memories. Coast will be at the Cathedral Christmas Market in Winchester. 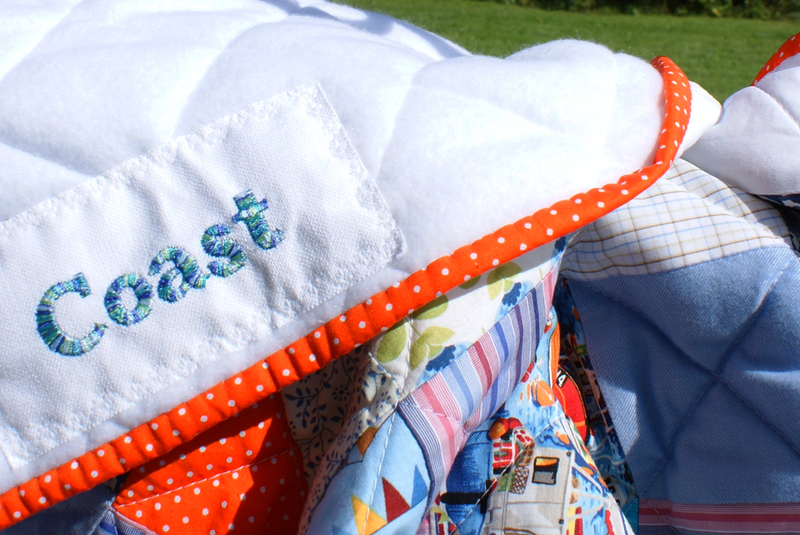 You are currently reading Coast Quilt … at Adaliza.